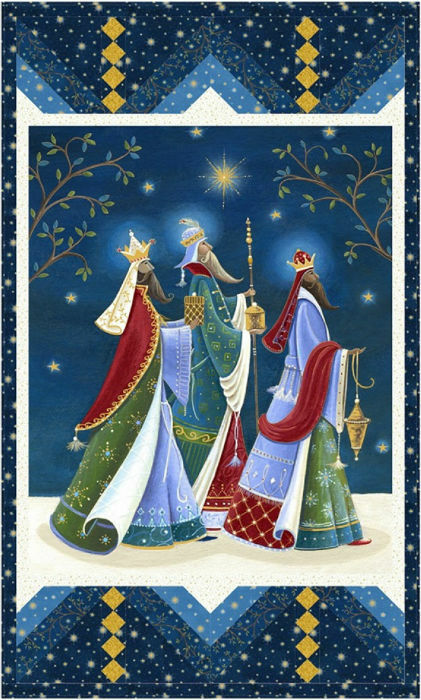 Three Wise Men Kit TWM1647K. 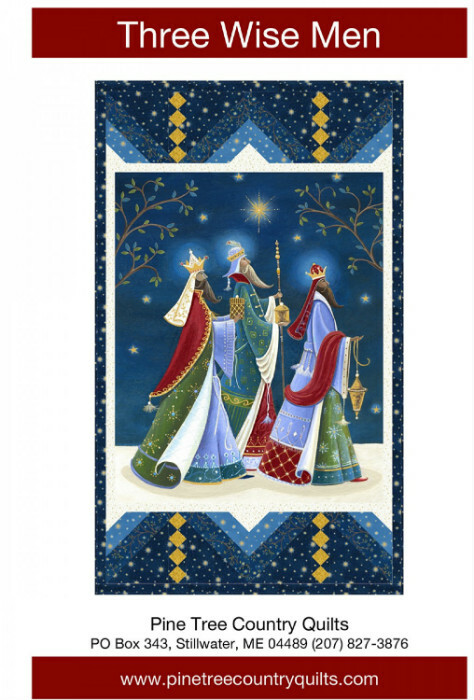 Three Wise Men cotton quilt kit with original pattern by Pine Tree Country Quilts. Finishes 34" x 57". 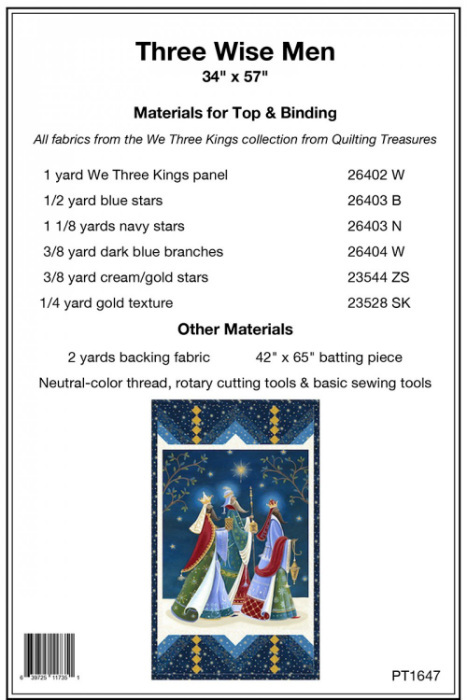 Includes the fabrics from the Quilting Treasures Three Wise Men collection for the top and binding. Backing fabric not included. Copyright Quilted Christmas. All Rights Reserved.